How much is John Lennon Worth? John Lennon net worth: John Lennon was an English musician, singer, and songwriter who had a net worth of $800 million dollars. John Lennon was born in Liverpool, England in October 1940 and passed away in December 1980. He is best known as a founding member of The Beatles, who are the most commercially successful band in the history of pop music. The Beatles have sold over 600 million records worldwide and were named by Rolling Stone as the greatest artist of all time. They released 12 studio albums from 1963 to 1970. After The Beatles, Lennon went solo and released the albums John Lennon/Plastic Ono Band as well as Imagine. 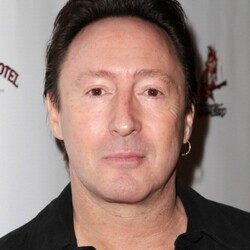 He also released the hit songs "Give Peace a Chance" and "Working Class Hero". 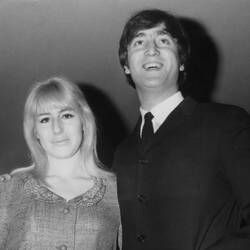 He is well known for his marriage to Yoko Ono in 1969. 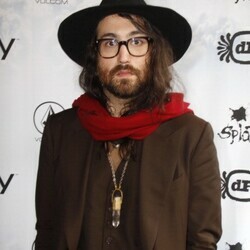 He changed his name to John Ono Lennon and took five years off to raise his son Sean. In 1980 he and Ono released the album Double Fantasy. He was a peace activist and criticized the Vietnam War. He has sold over 14 million solo albums in the United States. He is responsible for 25 #1 singles in the U.S. He was inducted into the Songwriters Hall of Fame in 1987 and the Rock and Roll Hall of Fame in 1994. On December 8, 1980 John Lennon was shot four times and died. There was no funeral, but his ashes were scattered by Ono in New York's Central Park. 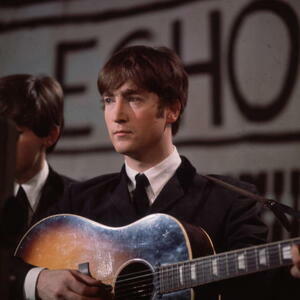 Lennon was known for his songwriting partnership with Paul McCartney of the Beatles. He was a peace activist and was outspoken against the Vietnam War. Lennon authored the books In His Own Write, A Spaniard in the Works, and Skywriting by Word of Mouth. He formed the skiffle group The Quarrymen at 15 years old. He also starred in the films A Hard Day's Night, Help!, Magical Mystery Tour, Yellow Submarine, and Let It Be.